I’m hearing more and more about companies that are starting to institute a zero email policy. 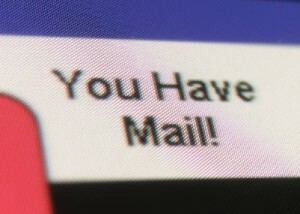 For many types of businesses, email really doesn’t have a place. In my case, it’s the primary way that we communicate with prospects, clients and customers. Email marketing services is also one of the primary areas I do business in. There’s no getting away from it. For the past 15 years, my incoming email load has been 2,000+ emails per day. Several years ago, it had actually peaked at around 10,000 emails per day. This year, I am running around 3,000-3,500 emails on a typical day. I’ve never had a problem managing it until recent times. A big issue for me has simply been that I don’t have the same amount of time to spend on email as I did before. Part of this is due to my increasing involvement in social media. As my networks continue to grow and strengthen, they are taking more time. I’m also communicating with lot more people in a typical day than I ever did. Inevitably this translates to an increase in email I need to actually take action on. A few months back, I found myself becoming increasingly frustrated and moody about email. I was missing emails that were business-related I should have caught. I felt I was juggling too many balls. My assistant is retiring at the end of this year and has been gradually cutting her hours back in preparation for this. 1. Created filters on most incoming email so it would get labelled and miss my inbox entirely. 2. Creating dated labels for things I needed to get done by a specific day. 3. Revamped my archiving system. I had previously been just hitting archive on emails. The problem is that I kept hitting the maximum allotment of storage space so I’d need to delete a bunch periodically. I started actually deleting things I’d not need again and then archiving in a logical manner the rest. The problem is this didn’t work for me. It required more work for me to maintain. I was still getting behind on items not filtered out of my inbox. I was still missing emails I should not have. It was taking me so much time to go through what was still left in my inbox that I never even looked at my filtered email. All in all, not good. I was probably worse off than I was before. I decided since organization wasn’t working, time was a factor (if I don’t have the time to deal with it now, when will I?) and my system was taking more time than it should – it was time for a major overhaul. At first, anxiety kicked in. Did I really just banish all of my waiting emails somewhere never to be seen again? Then the realization that these emails aren’t gone – they are still there – but just not staring me in the face – kicked in and I felt calm sweep over me. If I can delegate, it gets forwarded to the appropriate person. If it needs to get dealt with today, it gets done. If it will take less than 5 minutes to do, it gets done. If it’s ‘junk’ and I can unsubscribe, I do so. If I need the email but don’t need to read it, I am setting up a filter for it to auto-archive under an appropriate label. If I need to do it another day, it goes into one of 4 categories of sub-labels: Priority, Medium, Low, Whenever with a sub-label for the date if there is a due date associated with it. Anything I routinely find myself doing that I can delegate, I do. So far, so good. Although I am seeing a lot more email than I ever did, at least I’m not feeling like I am missing anything. How do you handle email? Do you have any tricks that have worked for you?